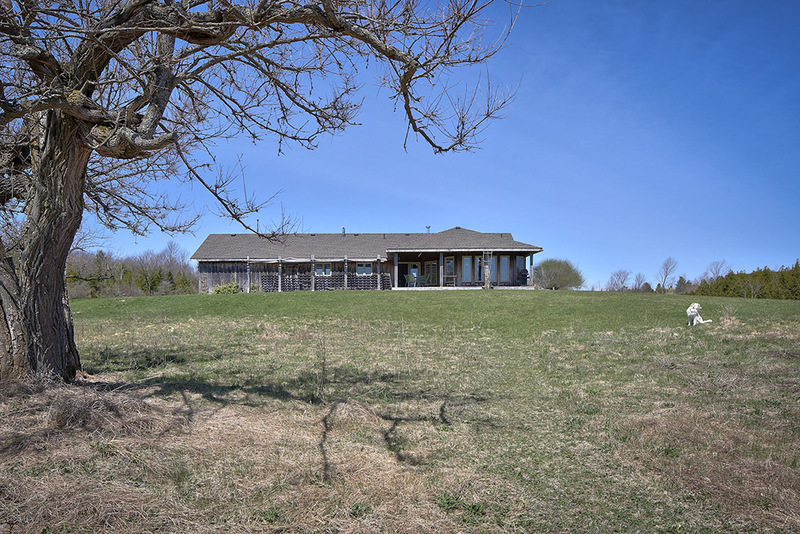 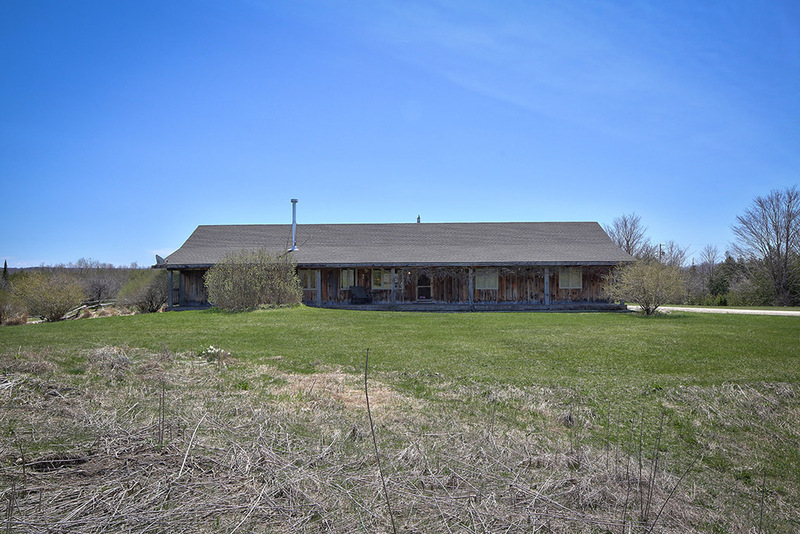 A fabulous setting high on a hill is the location of this 50 acre country home or hobby farm with a panoramic view of the countryside. 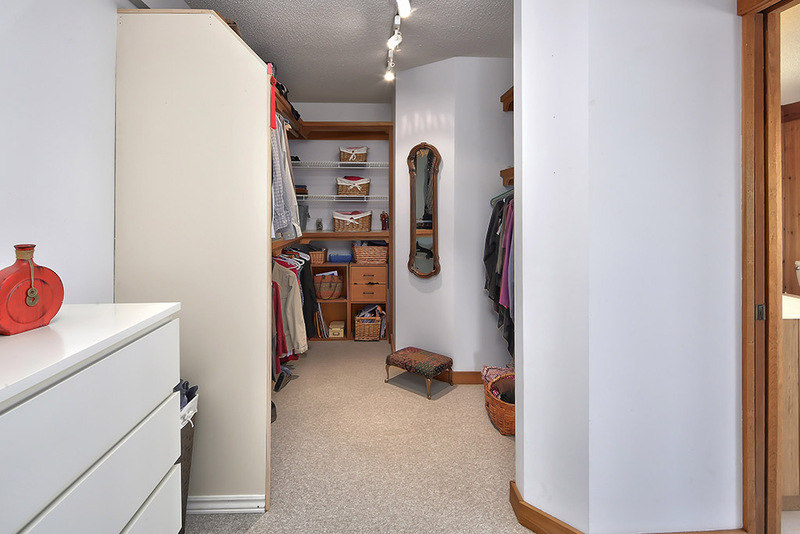 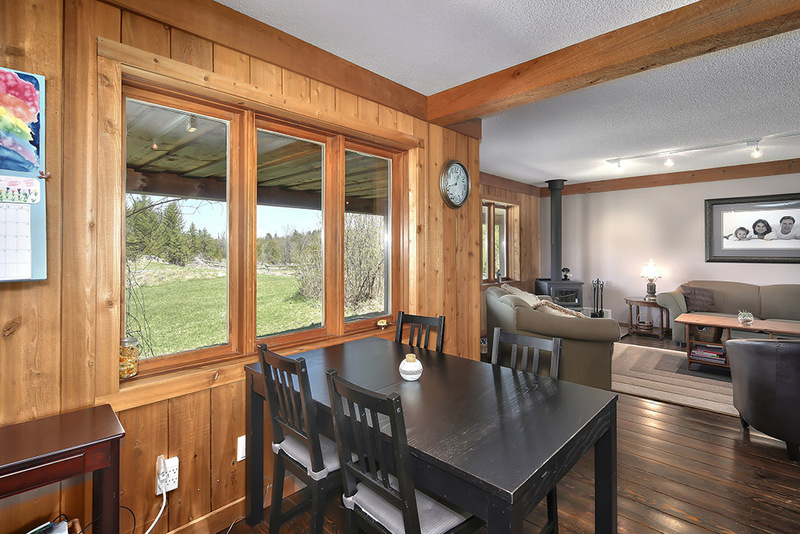 Total privacy is enjoyed in the spacious bungalow with open concept layout plus 3 bedrooms on the main floor. 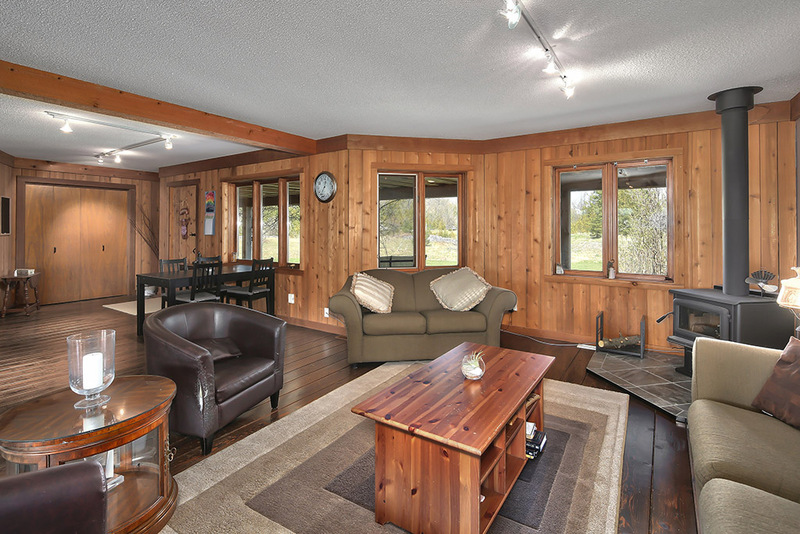 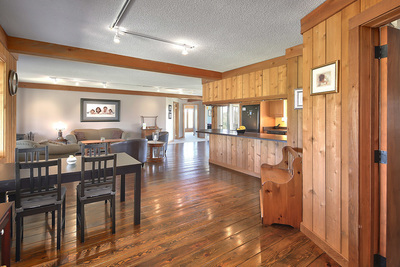 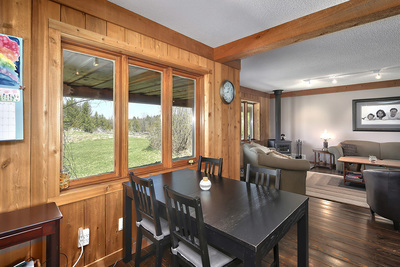 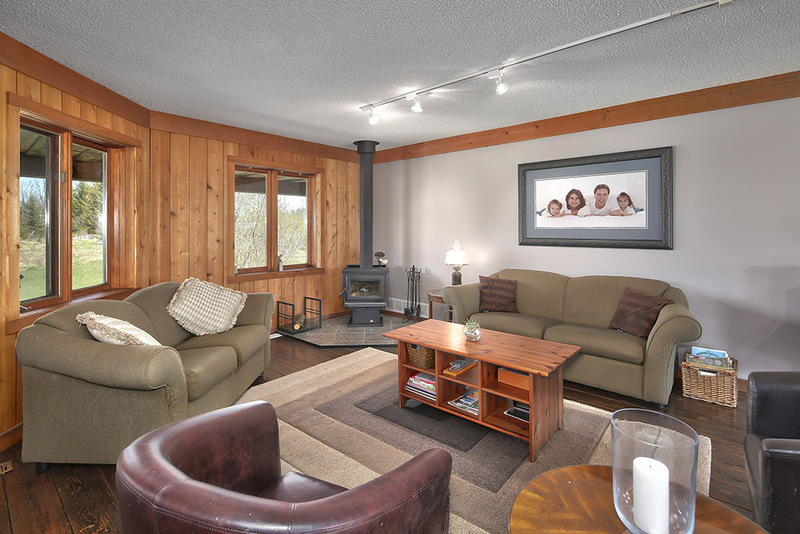 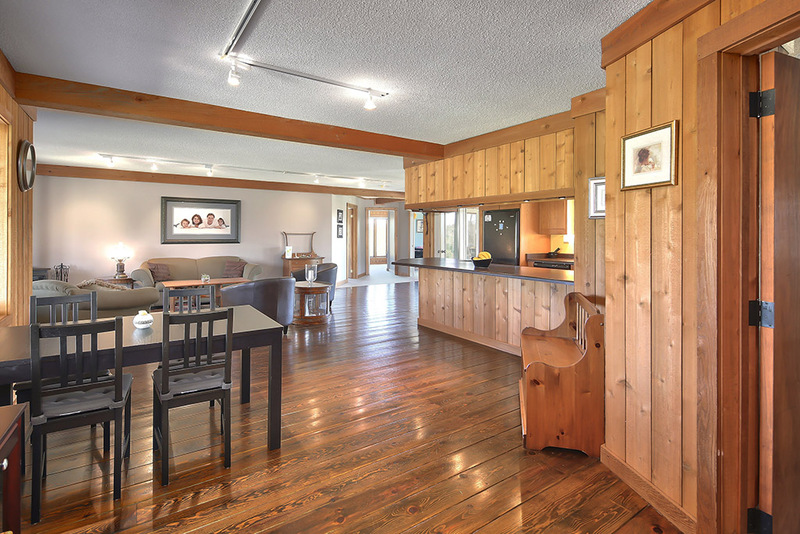 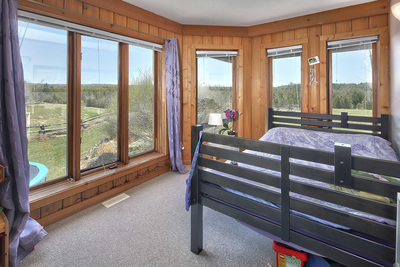 Hardwood flooring and a woodstove make this a very cozy and comfortable home. The lower level is fully finished and could be an in-law suite with one bedroom, living room with walk out, bathroom and a full kitchen. 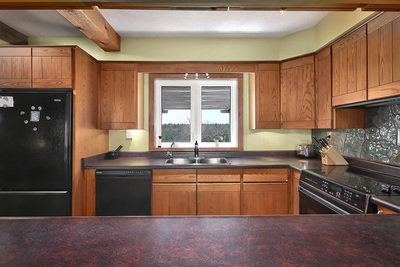 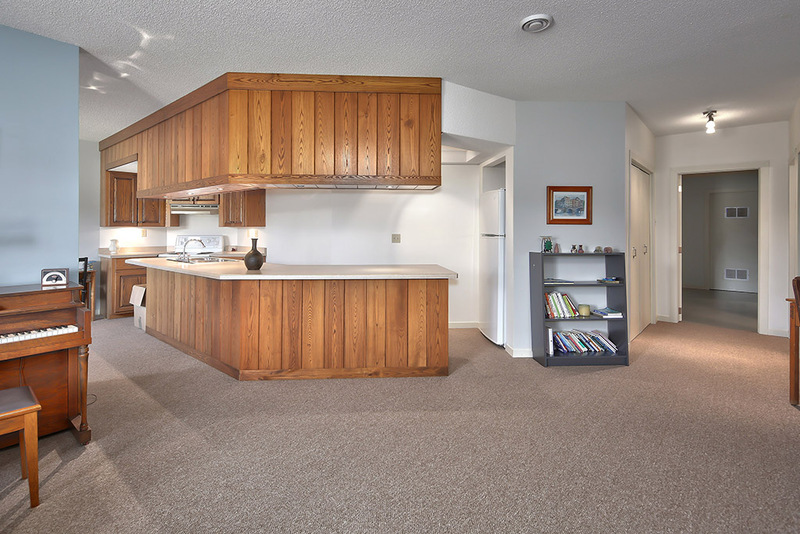 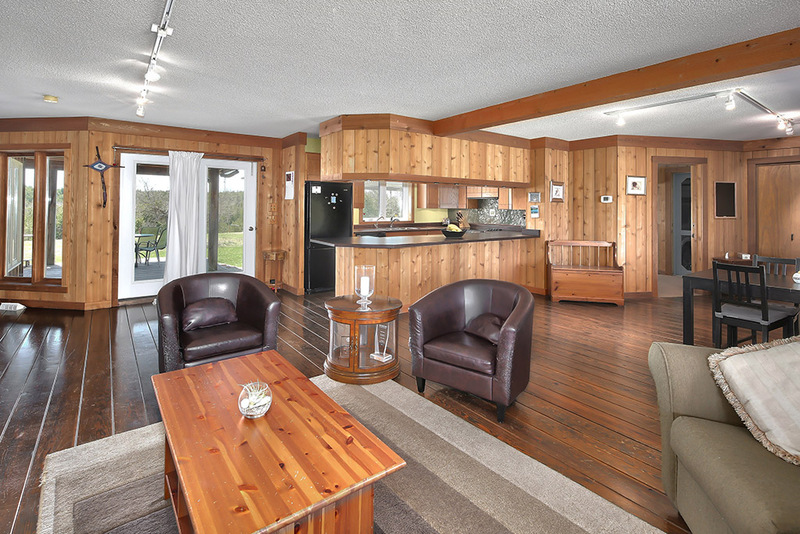 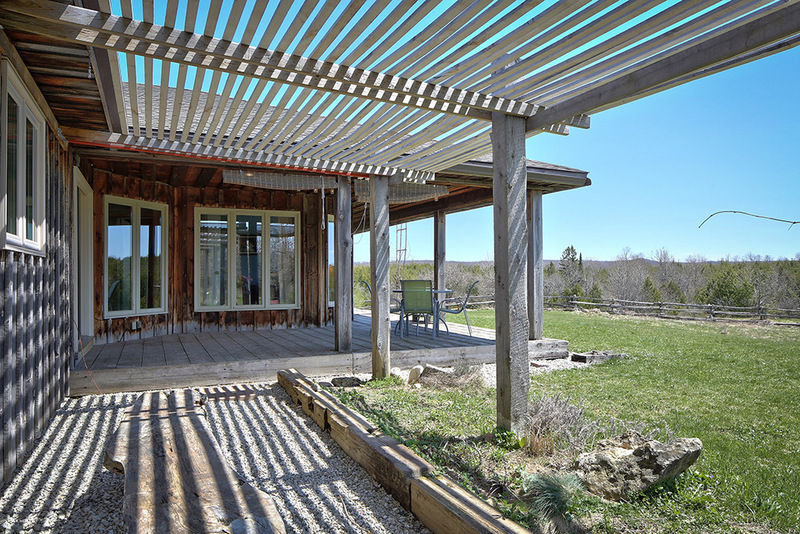 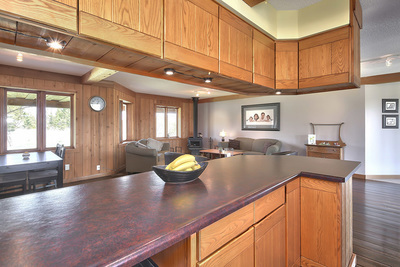 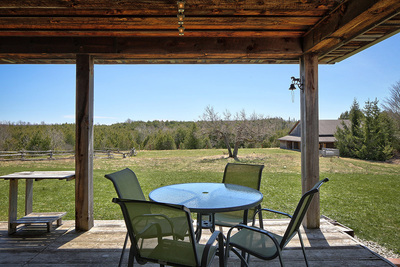 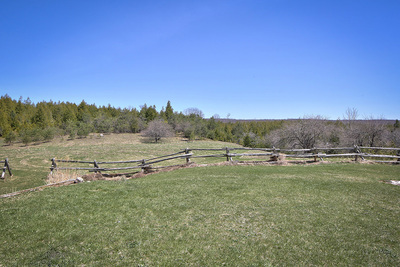 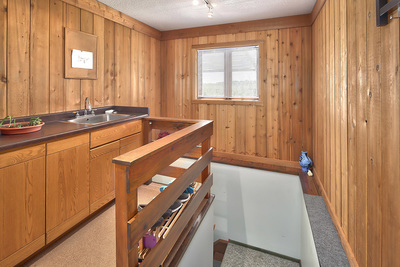 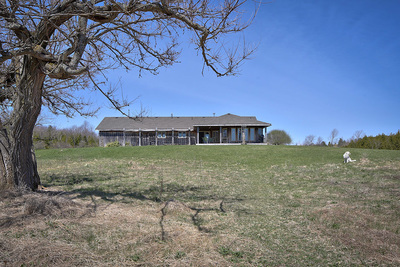 There is a large south facing deck area to sit out and enjoy the peaceful setting and the view. 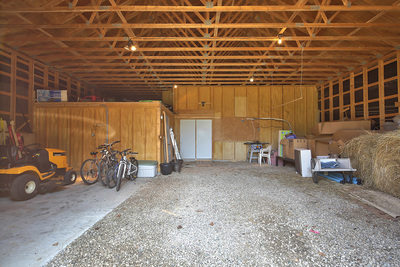 A 2 car garage is attached. 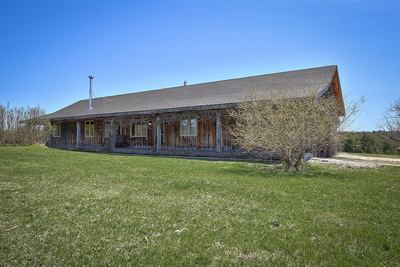 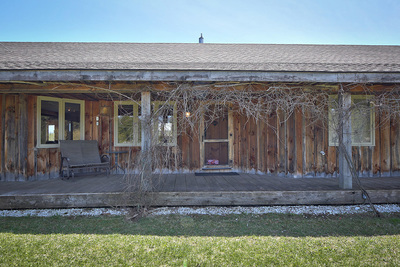 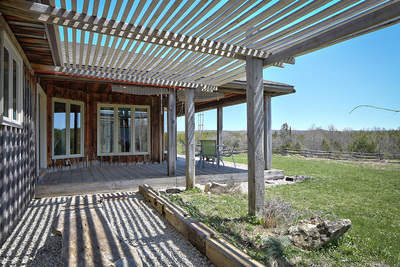 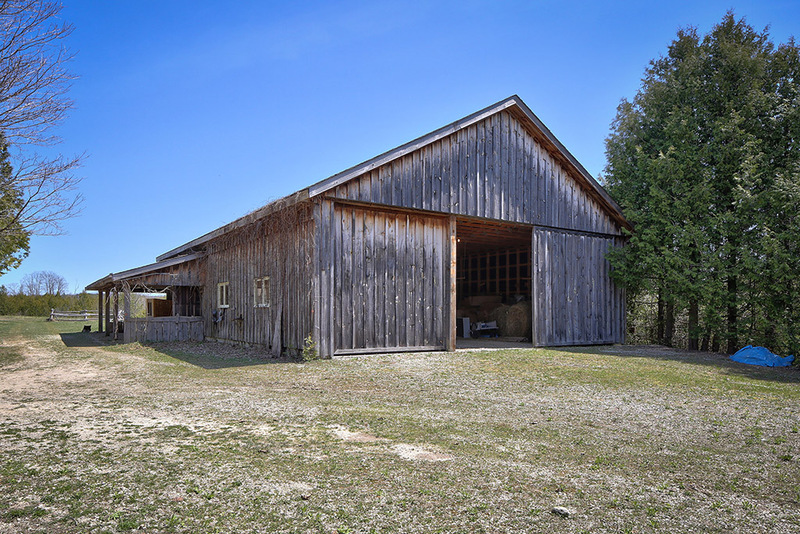 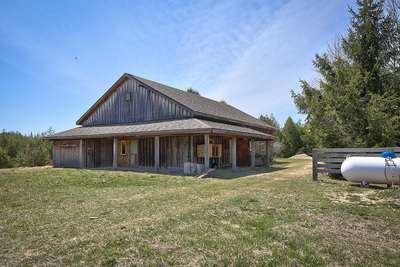 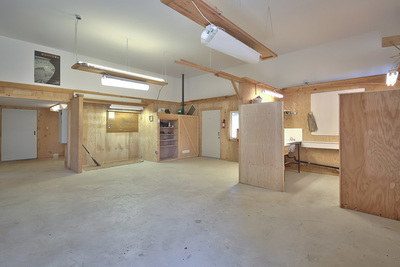 A great feature of this property is the barn/workshop. This building has one section 36' x 28' which would work well for horses or other animals. 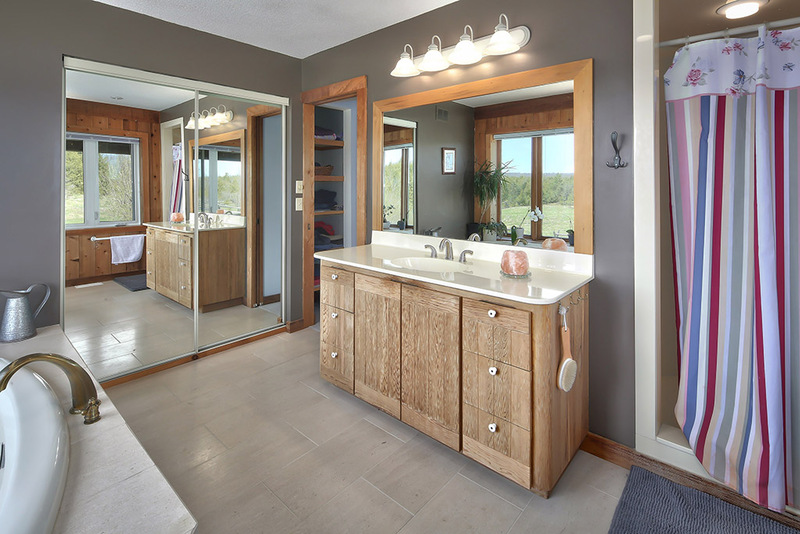 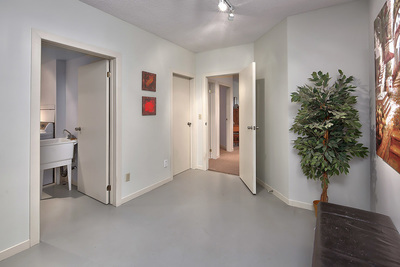 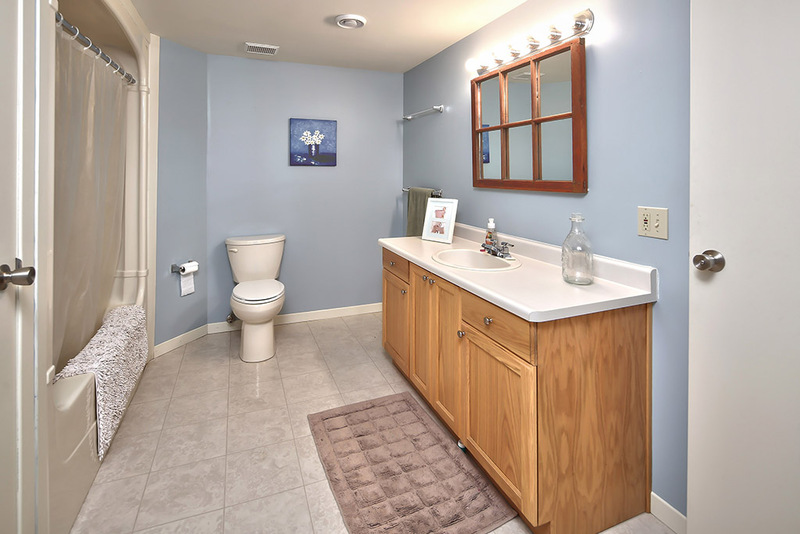 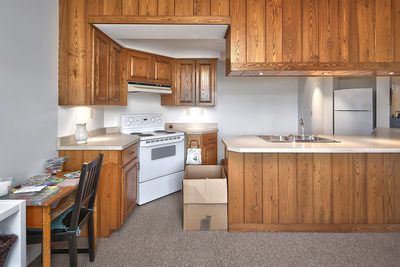 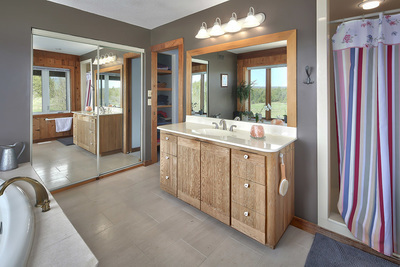 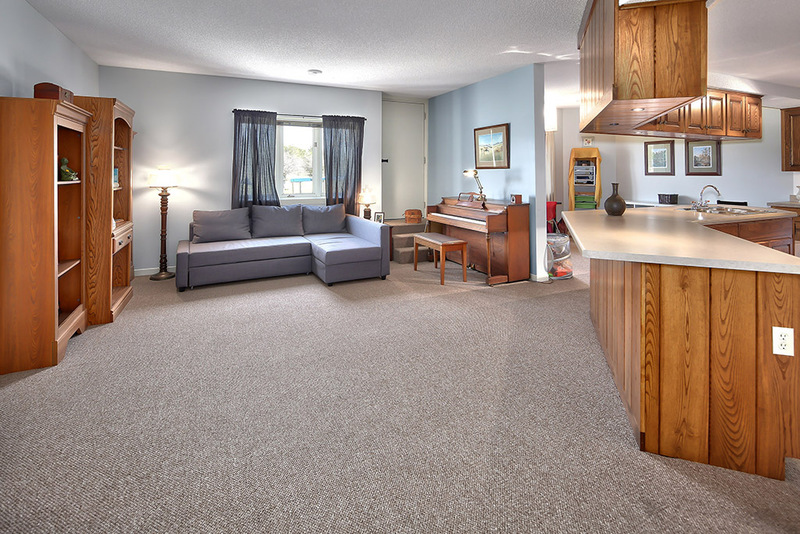 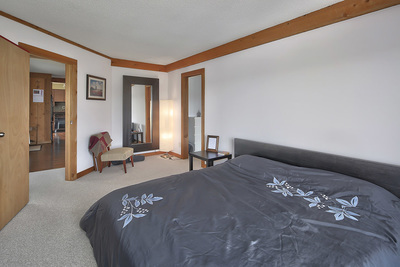 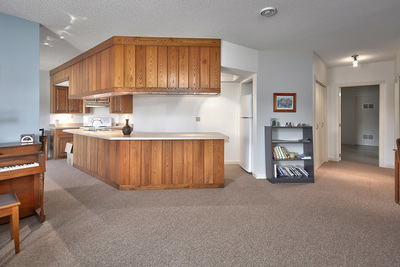 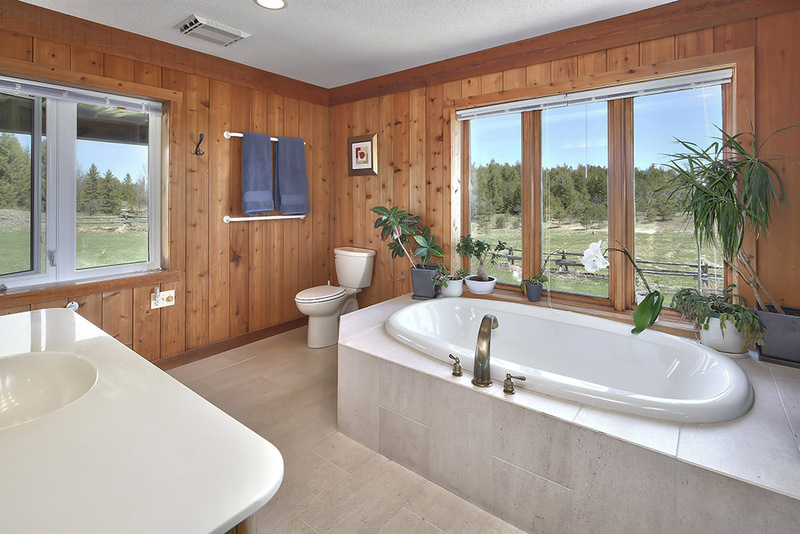 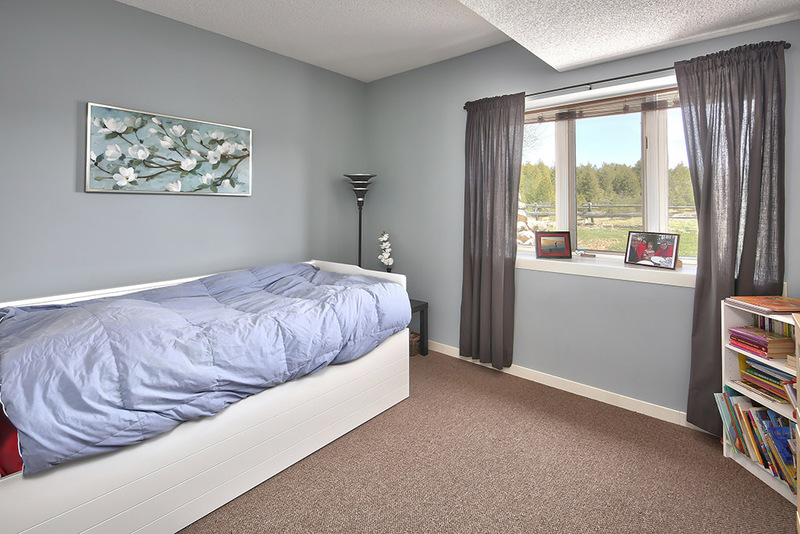 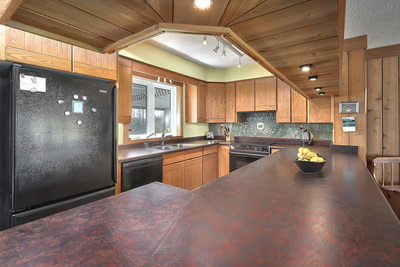 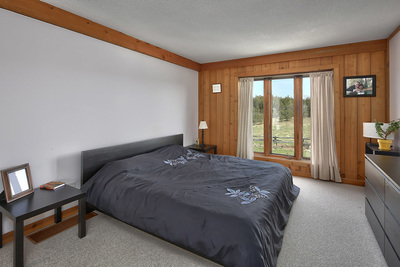 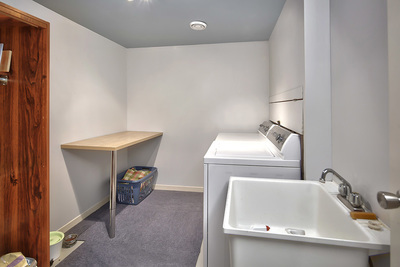 In addition to this is an area with in-floor heating, air conditioning and hot and cold water. 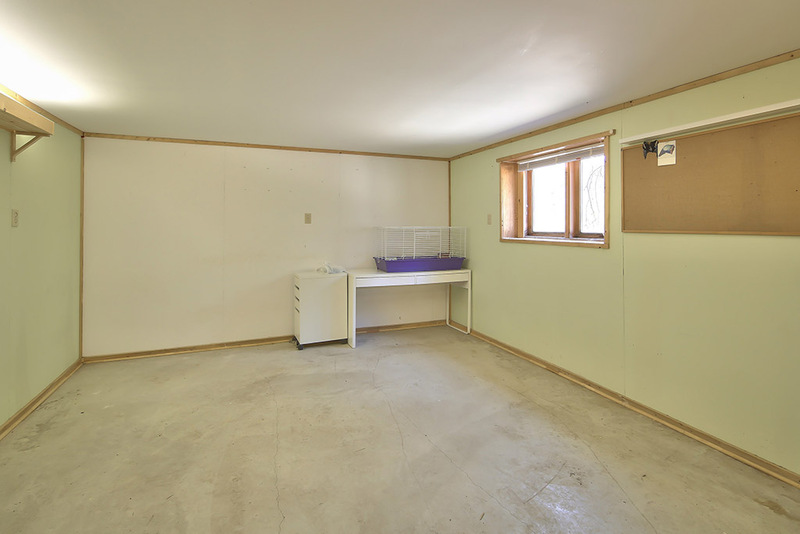 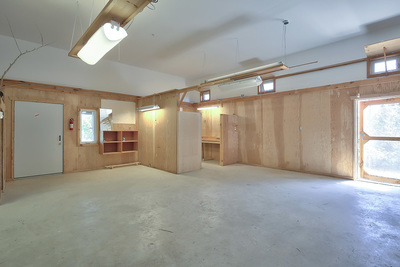 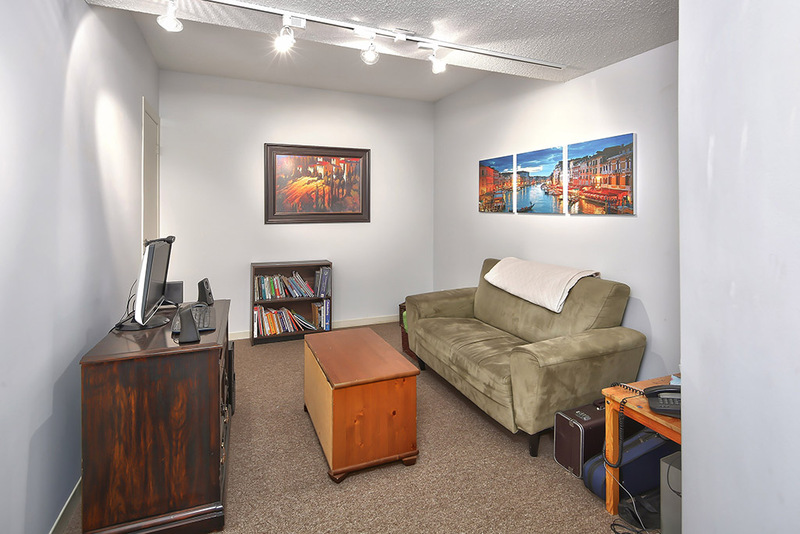 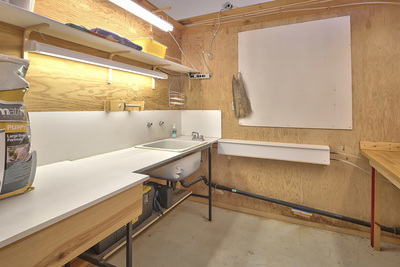 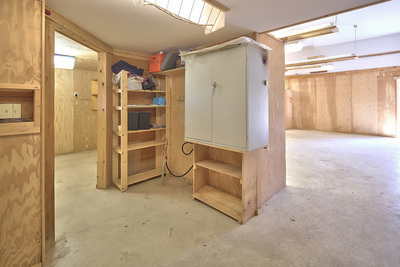 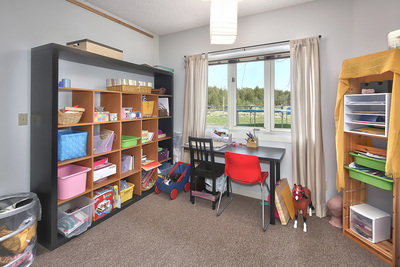 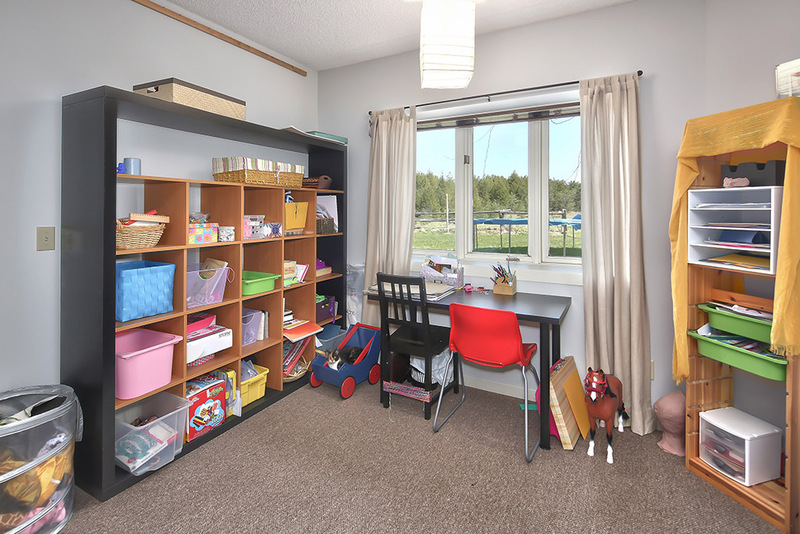 This area includes an open part 25' x 25' for workshop, an office 14'8" x 12'8" and a tack or storage room 10'8" x 9'8". Recent upgrades to this property in 2015 are new furnace, new hot water tank, water softener and reverse Osmosis, new dishwasher, air exchanger and woodstove. 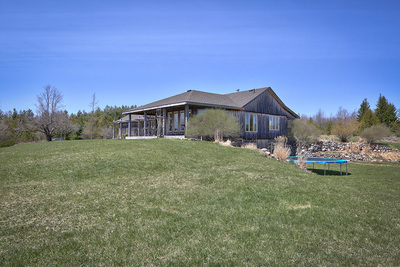 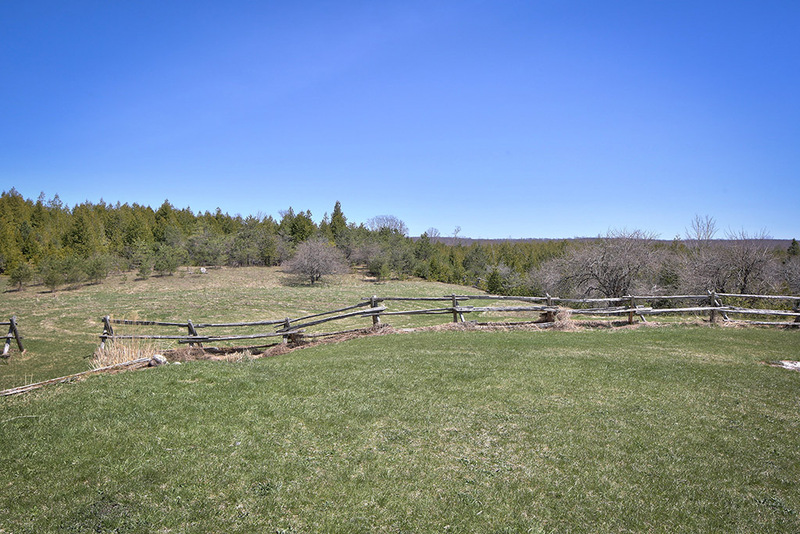 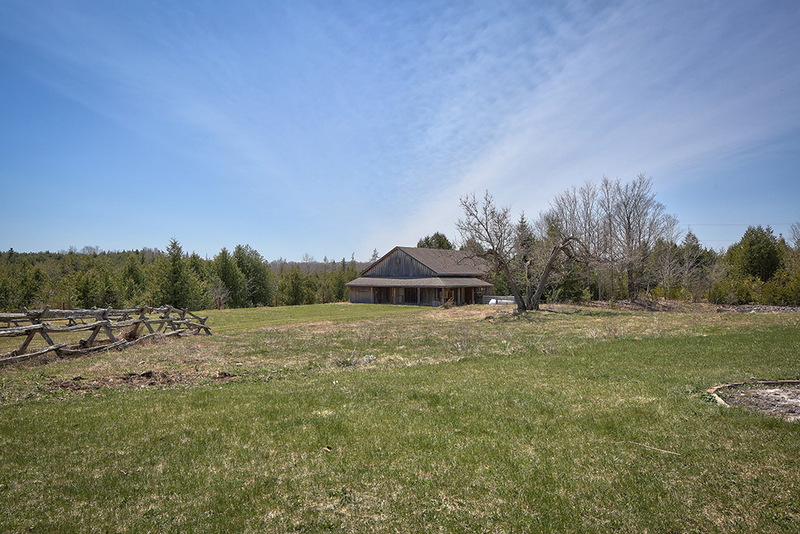 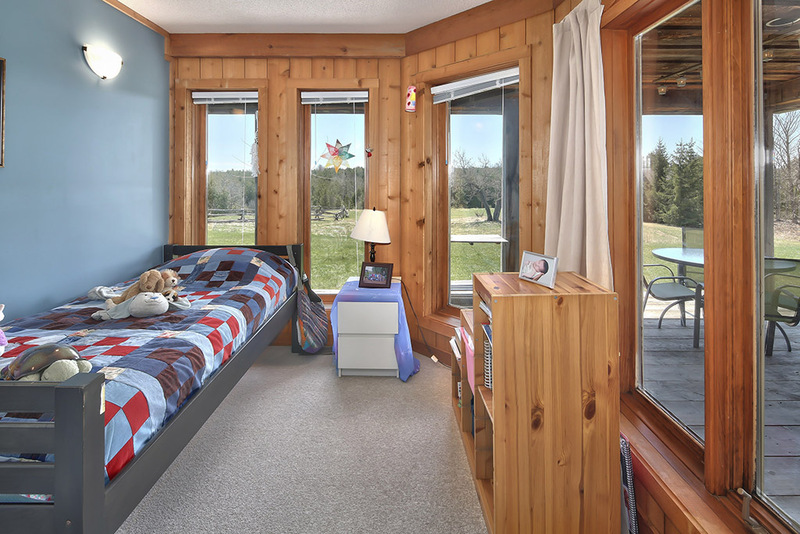 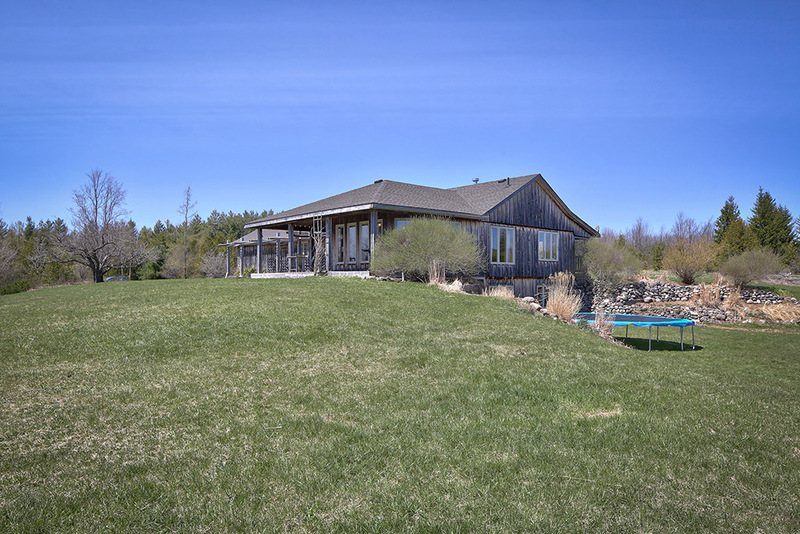 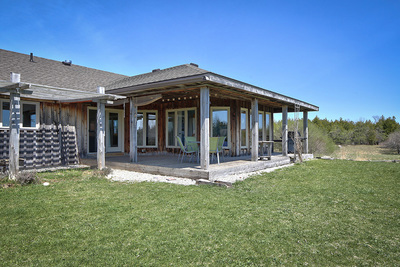 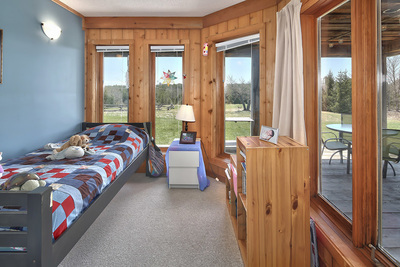 The land is part open and part treed with trails through and it is conveniently located 10 minutes from Markdale, 15 minutes from the Beaver Valley and Lake Eugenis, 45 minutes from Owen Sound and 90 minutes from Brampton.